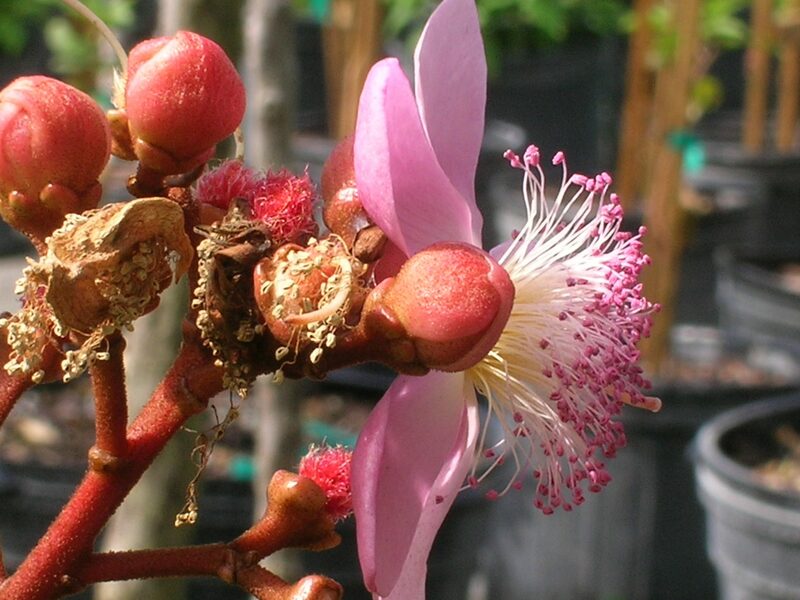 Lipstick Tree (Bixa orellana) - Richard Lyons Nursery, Inc.
Bixa orellana, the Lipstick Tree, has to be one of the most fascinating plants found anywhere. It has been valuable, versatile and popular for so long that no one knows exactly where in the New World Tropics it originated. The species name honors Francisco de Orellana, a Spanish conquistador of the 16th century, who, according to one commentator, accidentally discovered the Amazon. But, honestly, isn’t any discovery accidental? That’s really a metaphysical question, worthy of separate debate, perhaps at the next Richard Lyons Philosophy Week and Chutney Festival. At any rate, Mr. Orellana was the first European known to have navigated the entire Amazon River, and that’s worthy of some recognition. We hope he reveled in the feat, because, regrettably, his ship capsized at the mouth of the Amazon a few years later, and he ended up swimming with the fishes. 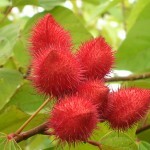 Also known as the annatto dye plant, achiote, bijol or urucu, B. orellana grows into a shrub or small tree 6-20 ft. tall. 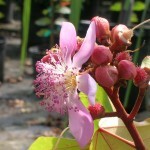 Its pinkish-white flowers are followed by a bright red heart-shaped, very bristly and inedible fruit capsule. When ripe, the capsule turns brown, hardens and splits open, revealing a large quantity of seeds embedded in orange-red pulp. An individual plant can produce lots of fruit: up to 270 kg. (nearly 600 lb.). But the Lipstick Tree is not just another pretty face. 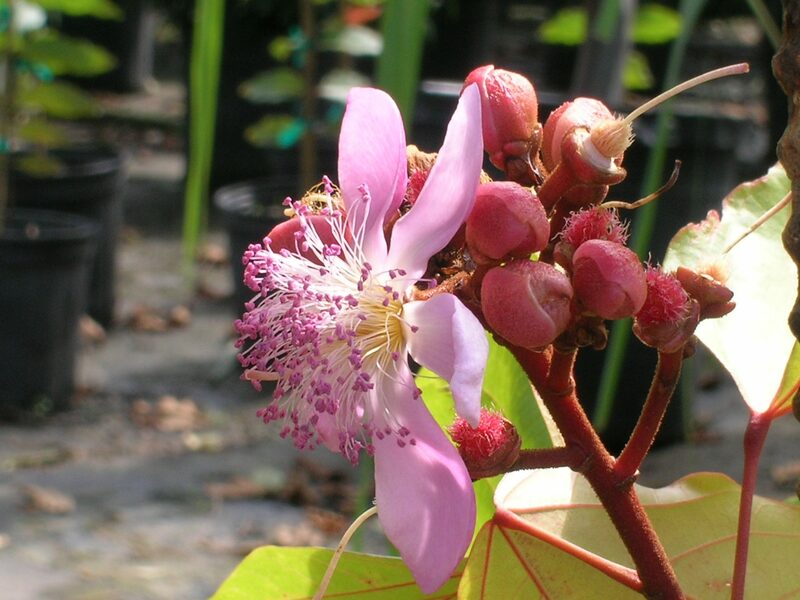 In addition to having great ornamental value, Bixa possesses many other desirable properties. Historically, the Aztecs and Maya had a high regard for B. orellana, and not just as an aphrodisiac. The crushed seeds contain a reddish dye — the so-called annatto juice — whose main constituents, bixin and norbixin, are carotenoids. Practically all Mayan scriptures were written in annatto juice. It should come as no surprise, then, that research is being conducted on the potential for incorporating annatto in printer inks. The dye has also long been used by indigenous peoples as body paint, on textiles and, of course, for lipstick. 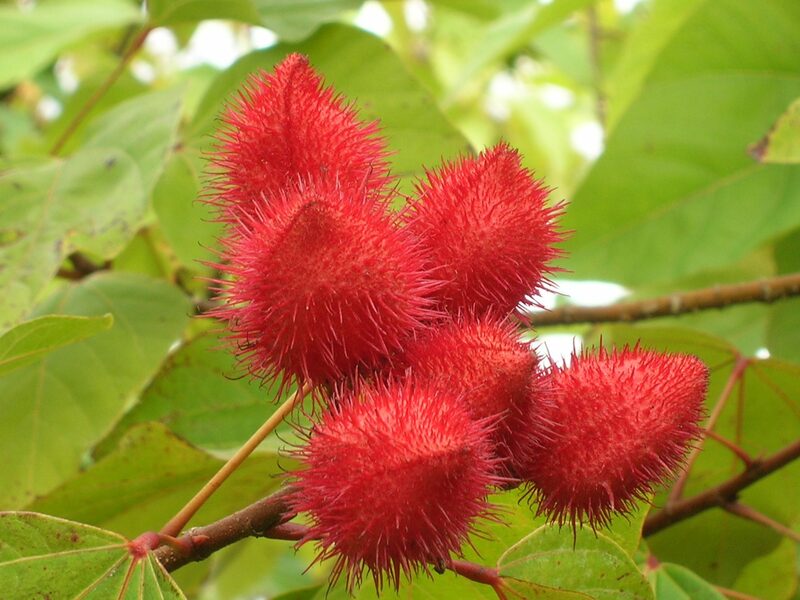 Annatto is also employed as a color additive in foods all the way from Latin America to the Philippines. The dye is used as a less expensive alternative to saffron in coloring and flavoring rice. In addition it is arguably a much less costly substitute for beta carotene, though it appears to lack a concerted marketing push toward that end. Aside from foods, annatto dye appears as a coloring agent in fingernail polish, shoe polish, floor wax, hair oil, lacquer, varnish, soap, cosmetics, furniture, ointments and leather. The pulp is also used to repel insects. From ancient times, medicinal uses for annatto have been well known, and they have covered an impressive range of maladies: dermatological problems, high cholesterol, heartburn, malaria, fevers, liver disorders, burns, dysentery, digestive ailments, snakebites, coughs, prostate disorders, hypertension, obesity, vaginitis, eye infections, and epilepsy. While historically roots, shoots, bark, leaves and seeds of B. orellana have all proven to possess medicinal properties, concentration today is only on those derived from seeds and seed paste. The high anti-oxidant properties of bixin and norbixin appear to be receiving a lot of attention, and the same two carotenoids have been found to lower blood sugar levels. 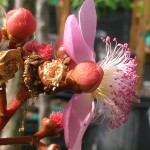 Richard Lyons’ Nursery sells these exceptional trees in 3-gal. pots approximately 6′ tall. Heads-up: If you intend to leave the plant in the container for a while, separate it from the soil on which it rests, because it roots out readily.